Creative ideas get pulled from so many different sources. The pros portfolios, print magazines, online magazines and blogs are an endless source of inspiration for me. 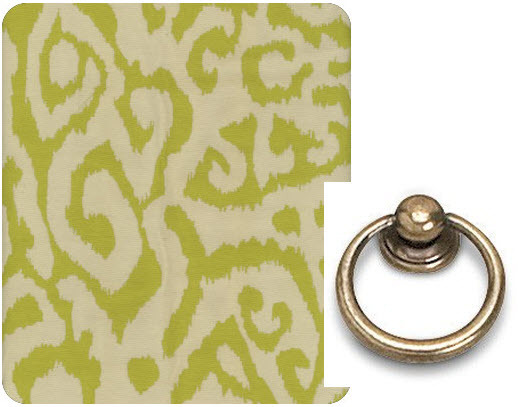 I love those green ottomans and the ring pulls! 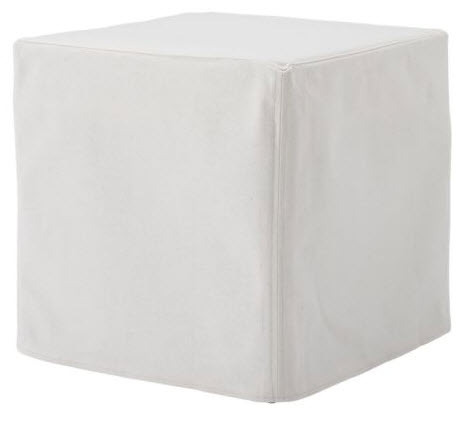 When the husband and I first moved into our apartment I picked up a pair of these Ikea ottomans to have some extra seating around. That Plain Jane canvas is just itching for a makeover. A light bulb went off! 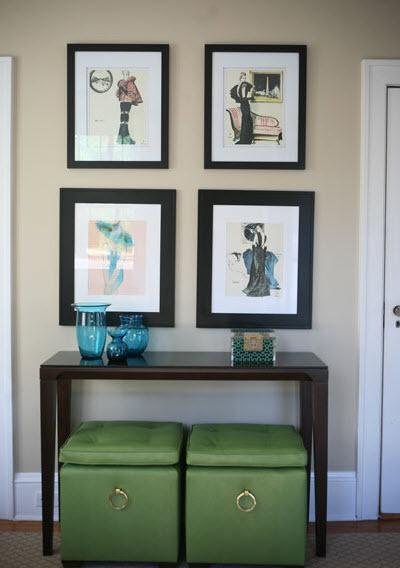 With a few yards of fabric and cabinet hardware, my Plain Jane Ikea ottomans can look like Eileen's fancy green ones. Now if I could just narrow it down to one choice for my ottomans. So, what are your favorite ideas pulled from the inspiration files? Bril-li-ant! I love each of these combos!! It's hard to pick a favorite but I might go with the raspberry geometric/ silver pagoda pull combo or the zebra/gold bar pull combo. You're killing it! This is such a great idea! I have one of those old ottomans too and it could really use some help. Never would've thought to add hardware though. Brilliant! Love this! I have some horrid microfiber ones in my sons room that just may need a makeover now!! 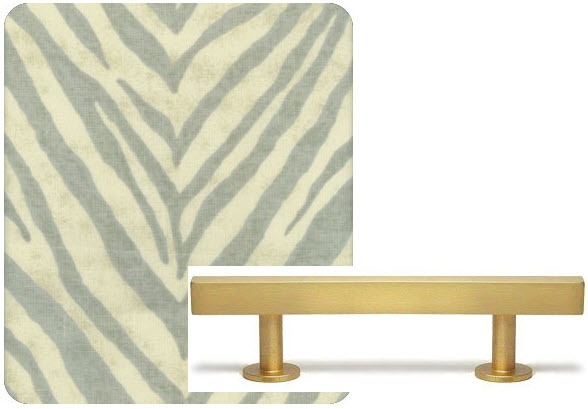 My favs are the Sudan in Sage with bar pull and the Nepal in Citrus with brass ring pull. Good luck!! I love the Nepal in Citrus and the HL Belami in Rasberry. No matter what you choose I cannot wait to see the final result. 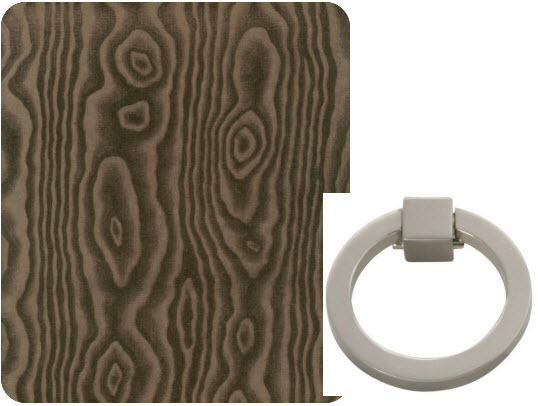 I love a big ring pull -- at the Cole Haan store on newbury they have little tables with giant ring pulls with tassels hanging off of them -- that would be a cute idea for the ottomans! This idea is brilliant and I am going to have to 'steal' it!! The wheels in my brain are already turning! Thanks for the inspiration! oooh! what a fab post. for me, it's a toss up between anatolia and nepal. 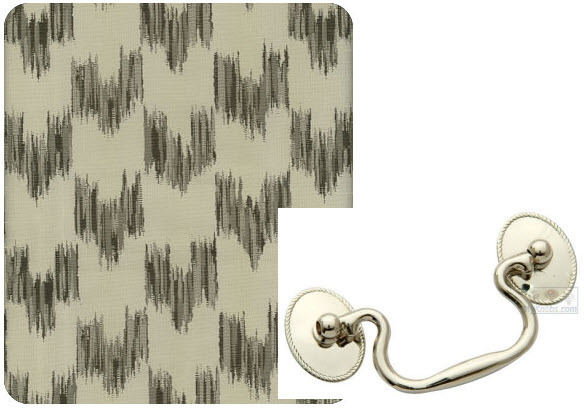 those fabrics and the classic brass ring pull are lovely. can't wait to see what you choose! 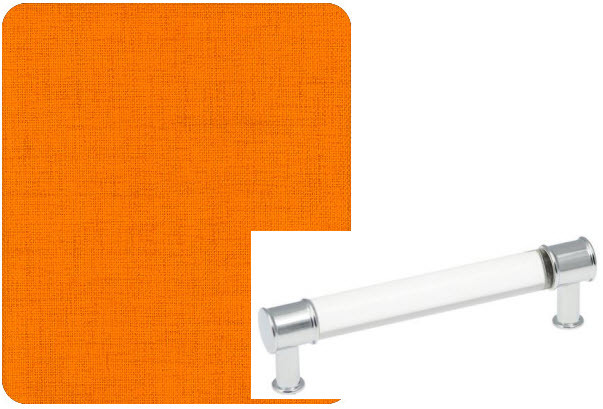 Big toss up for me between Sudan/Bar Pull and the orange linen/acrylic bar pull. I see both being Braziliant! Loving the sudan/bar pull... great inspirations! Such a cute idea. I might have to try this in my new house. I've got so many ideas that I want to use but it will be quite a while before I get around to creating any of them. I like all of those combos! I've heard of L&S, but the other source is new to me, thanks! I like the last one, the green with the brass ring. what a great idea! my favorites of your choices are: the HL belami, the sudan, and the nepal! Great idea,all of your choices are incredible. I think my favorite may be the last one. I am headed over to check out your resources, I am always looking for new fabric sources. Can't wait to see what you choose. I love that you are incorporating a little Charlie Sheen into the blog:) Great idea. I covered one for Remi's room. Will get around to posting one day. Ohh what a great easy DIY for some extra seating! Clever! Clever! I love this idea. 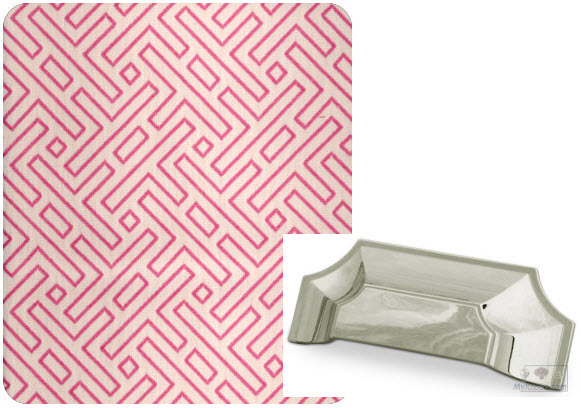 I like the brass bar pull the best, but I like it with the pinky fretwork fabric (this first fabric). In fact, I think I like your variations better than the inspiration! M.
I bought the Belami for pillows for my couch and I just ordered a sample of the Nepal for a friend. The citrus color is so bright & happy! HL Belami! For sure! It is so cute. We just used it for the headboard in my daughters room and I could not be more pleased!! Can't wait to see what you choose! They all are great :) PS - just found your blog - LOVE it!